Green Team Construction INC., is a family owned and operated business with over 35 years of experience in the construction trade. Being a family business, my brothers and I have been involved and surrounded by construction our entire lives. Our father has been a general contractor for over 35 years. Working with him has taught us how to manage projects while maintaining customer satisfaction. 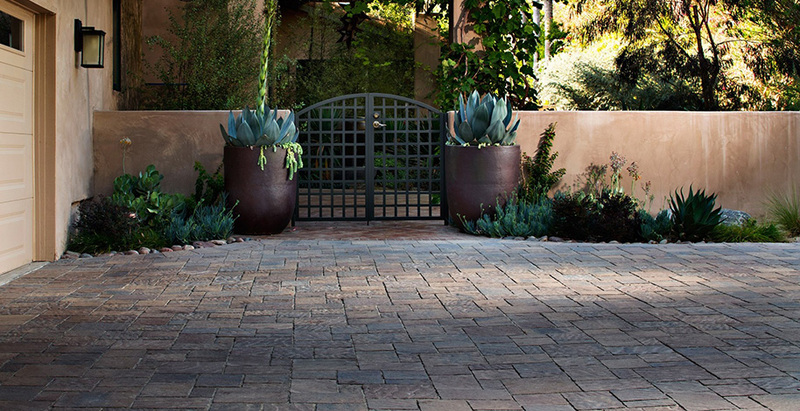 Our primary focus is the correct and proper installation of interlocking concrete pavers. California being a state where earthquakes happen often, increases the chance of cracks in concrete driveways. Installing driveway pavers for your home adds aesthetic appeal, durability, longevity, and increases the value. Driveway pavers are much stronger than concrete and are an overall better option when redoing your driveway. Concrete is the most commonly used material for building driveways and sidewalks and are widely used in Thousand Oaks. Moreover they are very strong and often require very less maintenance and are less expensive than other driveways such as brick, pavers and cobblestone driveways. A concrete driveway requires timely maintenance and proper repair in case of any damages. Green Team Construction can help you in any type of concrete driveway repair job, be it cracks, holes, replacements, damaged concrete foundations, discoloration, scuffs, scrapes, erosions or stains on the driveway surface. Repairing the damages and timely resealing can ensure greater durability and a better appearance of the driveway. Another big problem can be crumbling concrete. Although owners can repair these themselves, you can contact us for an unparalleled professional repair service. Our team provides complete concrete driveway repair services in Thousand Oaks. We have all the required equipment for concrete driveway repair and our experienced staff has all the knowledge regarding the same. So you can rely on us and get your concrete driveway repaired effortlessly. After getting 5 estimates for the same job using the same pavers, Rons pricing came in lower than most and the quality of work is phenomenal! We are very happy with our new driveway and will happily recommend Green Team to anyone in need of pavers. I want to commend Ron and his crew for the exceptional job they completed on my project of artificial turf and pavers for my front yard and driveway. They were always on time and were very professional and courteous! The job looks gorgeous and my neighbors are always telling me how beautiful it looks! If you are contemplating giving your home fantastic curb appeal, please reach out to Ron at Green Team Construction! You will not be disappointed and his prices are very reasonable. Paver : Agoura Hills | Angelus Oaks | Canyon Country | Inglewood | LA Canada | Moorpark | North Hills | Northridge | Oak Park | Pasadena | Santa Clarita | Santa Monica | Saugus | Simi Valley | Westlake Village | Los Angeles | Castaic | Santa Barbara | Angelus Oaks | Belgard | Valencia | Monrovia | West Covina | Norco | Pomona | Walnut | Calabasas | Burbank | Camarillo | Newbury Park | Oxnard | Thousand Oaks | Ventura | West Hills | Woodland Hills. Concrete Driveway Repair : Calabasas | Burbank | Camarillo | Newbury Park | Oxnard | Thousand Oaks | Ventura | West Hills | Woodland Hills. Patio Construction : Calabasas | Burbank | Camarillo | Newbury Park | Oxnard | Thousand Oaks | Ventura | West Hills | Woodland Hills. Outdoor Kitchen : Calabasas | Burbank | Camarillo | Newbury Park | Oxnard | Thousand Oaks | Ventura | West Hills | Woodland Hills.